Paul Kelly is Editor-at-Large of The Australian. 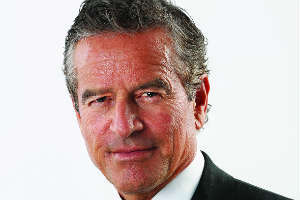 He was previously Editor-in-Chief (1991-1996) and writes on Australian and international issues and is a regular commentator on television. 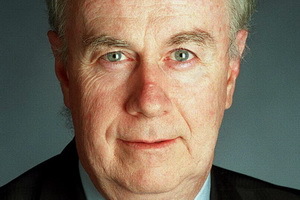 Paul Kelly has written widely on international affairs in America, Europe and Asia. A Fellow of the Academy of Social Sciences in Australia, he is currently Adjunct Professor of Journalism at the University of Queensland and a participant in the Australia-America Leadership Dialogue. In 2002 he was a visiting fellow at the Kennedy School of Government and a visiting lecturer at the Weatherhead Center for International Affairs at Harvard University. Paul Kelly is the author of six successful books including The Unmaking of Gough (1976), The Hawke Ascendancy (1984), The End of Certainty (1992) and a collection of articles titled Paradise Divided (2000). The End of Certainty was described in The Times Literary Supplement as 'the most comprehensive account of Australian polity since that of Sir Keith Hancock half a century ago'. Paul presented the 2001 five-part television documentary for the ABC on Australian history and character titled 100 Years – The Australian Story and wrote a book with the same title. In 2003 he co-edited Hard Heads, Soft Hearts, a new domestic reform agenda for Australia. An excellent presentation raising issues that are pertinent to local government and the theme of the National General Assembly and Regional Cooperation and Development Forum - ageing and population issues, constitutional recognition, economic and social policy linkages, the challenges for regional Australia, focus on higher education and skilled workers and more.